Faces blur and overlap, memories colliding. There is no center; only distress. Such are the recurring visions of our protagonist in Joshua Locy’s visually evocative and expertly acted feature debut. 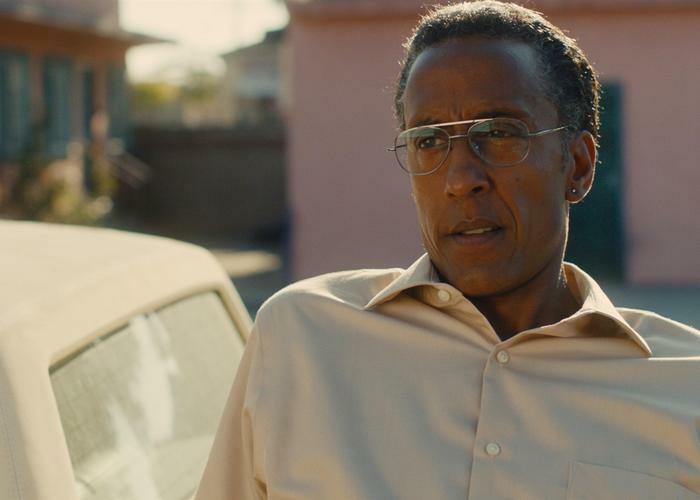 When Ashley Douglas (Andre Royo, “Bubbles” from The Wire) comes home from a long absence, he cannot seem to find his way, though not for want of trying. He is a man haunted by a past he cannot define, forever yearning for a stability always out of reach: a lost soul rejected by those who could save him. He is such a mess, however, that it is doubtful that anyone will bother to try. The film opens on Ashley wandering through his mother’s house in an open bathrobe while she works in the kitchen. He’s an overgrown boy, tolerated but not loved. Soon he sets out to reconnect with an old flame, who wants nothing to do with him. A pattern emerges, based on a backstory never revealed, where everyone expects Ashley to disappoint. He’s probably an ex-con, but the mystery remains, which is part of the film’s appeal. What motivates Ashley’s consistent failure? We’ll never know for sure, but it’s fascinating to watch Royo portray a man unable to rise above everyone’s low expectations. Soon, Ashley meets Jeremy (George Sample III, Cronies), another sad sack (though with a vehicle), and his tired hucksterism works just enough charm to help him make one new connection. Despite the women that Ashley pursues throughout, it’s the relationship between these two men that forms the real spine of the film. Jeremy is a decent sort who never quite gives up on his friend, despite many opportunities to do so. The two men share a brotherly bond that ultimately saves Ashley from being a completely self-centered jerk. Royo and Sample – veteran and newcomer – have a wonderful rapport that is as affecting as it is entertaining. By the time the story concludes in a surprise twist, we have invested so much in their friendship that the final scenes pack a strong emotional punch. Hunter Gatherer is a bit of a misanthropic ride, but also a film of subtle truths about the human condition.